At the recently renamed Balise Nissan of West Springfield, we’re not just here to sell you a new or pre-owned vehicle-we want to provide drivers from West Springfield, Springfield, Chicopee, Holyoke, Wesfield MA, and Enfield CT with exceptional service for all your automotive needs. Formerly Jerry Rome Nissan, we’ve been a part of the local West Springfield community for decades and we know our customers want more than just a place to buy a car; they want a dealership that feels welcoming and open. A place when they feel welcome and where their business is valued. Well, at Balise Nissan, our team is committed to exactly that sort of service. With our convenient location, friendly staff, and wide range of services offered, we’re confident you’ll look forward to coming to see us, whether it’s for a new Nissan model, vehicle service or maintenance, or even some replacement parts for your DIY projects. Whatever your automotive needs are, we’re here to help you not just meet them, but knock them out of the park. Looking for a great new vehicle in West Springfield, Springfield, Chicopee, Holyoke, Wesfield MA, or Enfield CT? Then look no further than our beautiful showroom. We’ve got an excellent selection of new 2018-2019 Nissan cars, SUVs, and trucks, so whether your driving needs are BIG or quite small, we know we’ve got just the vehicle here to help you meet them. Our approach to car buying puts the customer at the center; we want to make sure your experience with us is unlike any car dealership experience you’ve had before. Not to mention, we’re often running specials and incentives, so you can get a great deal on that new Nissan Rogue, Altima, Maxima, Murano, or Pathfinder, you’ve always wanted. Buying a new Nissan car, SUV, or truck is one way to get behind the wheel in West Springfield, MA, but if you’re looking for outstanding quality as well as outstanding value, there’s no better place to look than in our pre-owned inventory, where you’ll find a variety of used cars ranging in make, model, and trim. At Balise Nissan of West Springfield, we know that, for many of our customers, buying a used vehicle is simply the best option for meeting their driving needs and staying on budget. That’s why we also offer bargain inventory, where you’ll find quality used vehicles for under $15,000 in West Springfield, MA. For those who are interested in a specific Nissan model, but are also trying to adhere to a budget, we’re proud to offer a dedicated selection of used Nissan vehicles, containing a variety of outstanding Nissan models and years, like used Nissan Rogue, Altima, Maxima, Pathfinder, and Sentra vehicles. And don’t forget about our Certified Pre-Owned Nissan vehicles for added value and peace of mind when buying a used Nissan in West Springfield, MA. When it comes to buying a new or used car, the first step is finding the perfect vehicle. For many of our customers, it’s crucial to find an affordable auto loan, so their next step is meeting with one of our auto finance experts in our finance department to discuss and apply for car loans, Nissan leases, and any other financial concerns they may have. In our commitment to excellent customer service, we frequently have various new car specials, Nissan incentives, as well as used car specials to help bring a little more value to our already outstanding new and used Nissan vehicles. While we love helping customers new and returning find the perfect vehicles to match their driving styles, we don’t want the relationship to end that quickly! When you drive off our lot, that’s when your ownership experience truly begins, and we want to make sure you have a great one. For us, that means offering top-notch service, maintenance, and repairs when you visit our Service Center. For your convenience, you can use our online service scheduling tool so you can be sure you get an appointment that works for you. In addition to our Service Department, you can also request parts online for any of those DIY projects you have going on, or if you prefer to perform your maintenance yourself. Our Nissan experts are on hand to make sure you get the right part for the job every time. Across the Springfield, Chicopee, Westfield, Holyoke, and Enfield, CT region, drivers know they can trust our experienced auto parts team to find the exact part they need, meaning more peace of mind when you go to do your repairs. With the Balise name behind us, you can ensure that you’re going to receive the same wonderful service you’ve always received at Jerry Rome Nissan paired with the trust, comfort, and reliability buying from the Balise Auto Group offers. 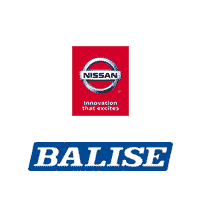 At Balise Nissan, we don’t want to be your typical car dealership, we want to leave our valued customers with the best experience possible after every visit. To us, that means fast, friendly service, knowledgeable staff, and a wide selection of products and services. Customer satisfaction is our top priority, so we’ll help you find exactly what you’re looking for, be it a new or pre-owned vehicle, replacement parts, or service and maintenance. If you’re ready for an automotive experience that is out of this world, swing by and pay our team a visit at 500 Riverdale Street, West Springfield, MA today! We proudly serve the communities of Springfield, Chicopee, Westfield, Holyoke, MA, and Enfield, CT, but drivers from all over are welcome!